It was a good finish to our trial of Betting Bias – a tipping service run by a group of professional gamblers who bet on a range of sports including golf, horse racing, football, rugby and tennis – with a further 16 points added at advised prices and 17 points at Betfair SP. That meant over the course of the trial they amassed a whopping 285 points of profit at advised prices and 284 points at Betfair SP. That came at a return on investment of 82%, which is pretty incredible stuff. Breaking things down, it is worth noting that the vast majority of that profit came from one selection – Smylie Kaufman winning the Shriners Open at 250/1, which returned 313 points profit all on its own. Haha quite a graph! Looks like one of those charts you see of a company on the stock market that’s just about to be bought out or has discovered some new wonder drug or something else pretty amazing. In this case the wonder drug was Smylie Kaufman winning the Shriner’s Open! Of course there may be some of you saying that if they hadn’t had that one winner, they would have actually finished down for the trial. However, having followed Betting Bias’s tips for a number of years, we have seen that this is the way they do things and they have had a number of 100/1+ winners on golf, so this is certainly not just a one-off. As you will see from the list of golf winners at the start of the review below, there have been some fantastic golfing successes for them and that list at the bottom is just a summary; there have been plenty of other golf winners and some tasty-priced each-way shots as well. So we are happy to give Betting Bias a big thumbs up and a five star rating based on their performance both during our review and over the long-term. After five years of tipping they are 1600 points up at a return on investment of 28%, which is superb going and there aren’t many tipsters out there with such a great record over a sustained period. And what’s more, the tips are completely FREE – can’t ask for much more than that can you really? The table breaks down things very much in the way we have experienced things with Betting Bias over the years: the golf is the most impressive and brings in the lion’s share of the profit; the horse racing is good and seems to do better on the all-weather where their sectional timings come into their own; the football tips more or less break even or perhaps make a small profit and the other sports make up just a tiny portion of the bets so are less significant. So really there could be an argument for just following their golf tips – and perversely actually staking higher amounts on their long-odds selections (66/1+) because those are the ones that have really excelled and brought home the bacon over the years. My personal view is that the horse racing tips are also worth following, particularly over the all-weather season and we are seeing that at the moment with some very good results. Of course, you may not want to pick and choose the bets like this and just back everything instead, which would cover all bases and ensure you don’t miss anything. Anyway, however you choose to the follow the tips, we think Betting Bias is a great service and it’s amazing that everything is provided for free. Ease of use: There is a bit of work to do as there are 3 bets per day on average. The only thing they could do to perhaps improve the service is provide the tips by e-mail, as at the moment you have to visit the site every day to get the tips and it is easy to forget as tips are posted at different times of day – which can be a great shame if you happen to miss one of their big winners! Availability of prices: The prices are generally widely available and we had no problems getting on. The advised prices and Betfair SP results were almost identical, at 285 points and 284 points profit respectively, which is another plus point for the service. Strike rate: The strike rate for the trial was 16% – so some patience is required to follow this service, particularly on the golf tips which can go lengthy periods without a winner due to tipping at high odds (but patience is richly rewarded if you do stick with them). Advised Betting Bank: A betting bank was not advised but we used a 200 point bank for the trial, which seemed sufficient for the historic strike rate and was very comfortable as it turned out. Subscription costs: Completely FREE! Can we say that again? FREE! Amazing stuff for a service that has made over 1600 points profit. It’s been a very profitable trial for Betting Bias and we are pleased to give this an approved rating. A fantastic winner at 250/1 winner was the highlight of the review period. They have an incredible knack of picking long-priced winners on the golf in the last few years and we feel that is the real strength of the service. The horse racing on the all-weather is also good and worth following. All you need is a bit of patience to wait for the golf winners and a decent-sized bank to cover the losing periods. You can check out Betting Bias here. There has been a slight downturn for Betting Bias, who have lost 20 points at advised prices and 36 points at Betfair SP since our last update. They are still 269 points up for the trial at advised prices and 258 points up at Betfair SP, so no real harm done to the great profits made during the trial. We have around three weeks to go, so even if every bet loses between now and the end of the trial, we would still be well up, so can’t really see anything other than a massive thumbs up here! Anyway, will be back with our final verdict on Betting Bias in early December. Last time we updated the results for Betting Bias a month ago we remarked that things had got off to a little bit of a slow start. We had also remarked in our opening comments when commencing the trial that they have a habit of landing big priced winners on the golf. Well late on Sunday night they proved true to form. Golfer Smylie Kaufman, a graduate of the Web.com tour (a satellite tour for the main PGA Tour) had been tipped up by Betting Bias for the week’s tournament – the rather long-winded Shriners Hospitals for Children Open – at a massive 250/1. “Having highlighted Smylie Kaufman as a rookie to watch in 2015/16 he almost blew his cover with a T10 at the Frys.com last week. “The 23-year-old finished the week T3 for birdies and more of the same is required at TPC Summerlin. “Kaufman’s strength is driving and putting (ranked fifth for putting average last season) and like Tony Finau last year he can follow up a good showing at the Frys with an even higher finish at the Shriners. And guess what happened? Well he only went and won didn’t he! Holing a great 20 foot putt on the last, a couple of hours before the leaders finished their rounds, Kaufman posted -16 and no-one could catch him as he finished one shot ahead of six players. That brought in a whopping 313 points profit in one fell swoop for Betting Bias and skyrocketed the results for the trial to +289 points profit at advised prices and 294 at Betfair SP. Amazing stuff. The only downside was that we didn’t back Kaufman ourselves! Oh well, we hope a few of you did and got to celebrate the win. As we said at the start of the trial, this is what Betting Bias tend to do – move along slowly for a while then hit a massive winner. You can check out the completely FREE tips from Betting Bias here. It has been a little bit of a slow start to our trial of Betting Bias, who after 3 weeks are 19 points down at advised prices but level (+0 points) at Betfair SP. It is quite unusual for the Betfair SP to be considerably better than the advised prices, but in this case it was down to two winners. Firstly, Realtra at Doncaster on 10th September that was advised at 25/1 but won at a Betfair SP of 40. Then on 19th September, Tatlisu was advised at 22/1 and won at a Betfair SP of 27. There have been some massive priced golf selections during the trial so far, including 500/1 Oliver Farr at the Italian Open. If one of those come in then we are really laughing! We will return soon with more updates. It is not often that you find a really good tipster with an impressive record over a number of years. 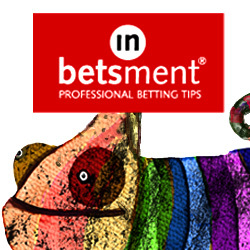 It is even rarer that you find such a tipster who provides their tips FREE. Well with the tipping team at Betting Bias, that is exactly what you get. They tip across a range of sports including horse racing, golf, football, tennis and cricket. They have amassed an outstanding 1324 points profit at a return on investment of 24% since the service started in December 2010. We have followed their tips for a number of years and can verify the results on their website are accurate. So that’s about 284 points profit a year on average, or 24 points per month. So some pretty incredible winners as you can see. 2014 was a particularly impressive year. In fact, in January 2014 alone they made 359 points profit. That’s more than some services make in a year – or perhaps ever make! They also have a decent record in other sports like football and horse racing, although without the huge-priced winners that you get betting on the golf. In many ways we would be happy to place this straight in the approved systems list, but for the purposes of comparison with our other services we will run a normal three month trial so we can crunch the numbers and look at availability of prices etc. In the meantime, you can check out the completely FREE tips provided by Betting Bias here.